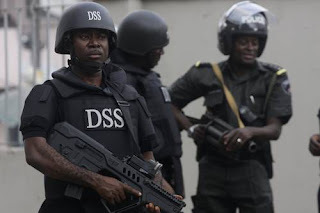 The Department of State Security Service, DSS, has recorded a major success against criminals posing serious challenges to the nation through attacks on oil installations and kidnap of prominent Nigerians for pecuniary gains. The DSS said last night that it foiled fresh planned attacks on vital oil facilities in the Niger Delta region by arresting the masterminds of the onslaughts before they were able to carry out their nefarious actions. A statement made available to newsmen in Abuja by the security agency and signed by Tony Opuiyo, said the DSS also arrested no fewer than 15 kidnap kingpins from various parts of the country, including the man who kidnapped the Personal Assistant to the Transport Minister, Igo Chinda. The DSS said all the arrests were made in the month of June through what it called ‘series of special tactical operations’, which led to the decimation of the criminals’ hideouts. Among the key elements arrested for planning to unleash series of bombing of oil facilities in the Niger Delta region, were one Christian Oluba alias Sensor, who the DSS described as a militant with the Niger Delta Avengers. According to the agency, Sensor was arrested still perfecting plans to carry out attacks on critical oil and gas pipelines, including storage points. Also napped and taken into the custody of the agency, is another NDA member, Selky Kile Torughedi, which DSS described as an ex-militant and a close associate of Government Ekpomopolo, alias Tompolo. Torughedi, who was arrested in Calabar, Cross River State, was said to have carried out reconnaissance on the home of a serving military officer, M.B.Yahaya, in Kaduna and was about to assassinate him before being arrested by the DSS. The suspect was said to be assisting the DSS with leads into the crime and those associated with him.